This story start when Barbie gets fired from her new film, she hopes that people support for that decision but that doesn’t happen. Very sad, she wants to talk with her boyfriend Ken but gets a call telling him that he want to end it. Many bad things for Barbie in just one day! But everything will change when Barbie takes a flight to Paris with her aunt Millicent who owns a fashion house about to go bankruptcy. Barbie’s presence animates a little her the aunt and her assistant Alecia, but they know that little can be done for the fashion house. 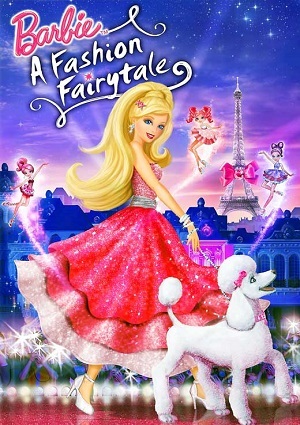 Provided with all the excitement, Barbie decides to act and implement the spell of an ancient legend that says that there are three fairies that use their magic to refine the designs that have been produced by any designer. Thus the Flaries appear: the little Shyne, Shimmer and Glimmer; to help Barbie and Aunt Millicent to do some spectacular fashion designs. Their designs are perfects and are better than those from their opponents. The reward for the effort is huge and Barbie will discover that in the end turned out to be not so bad.